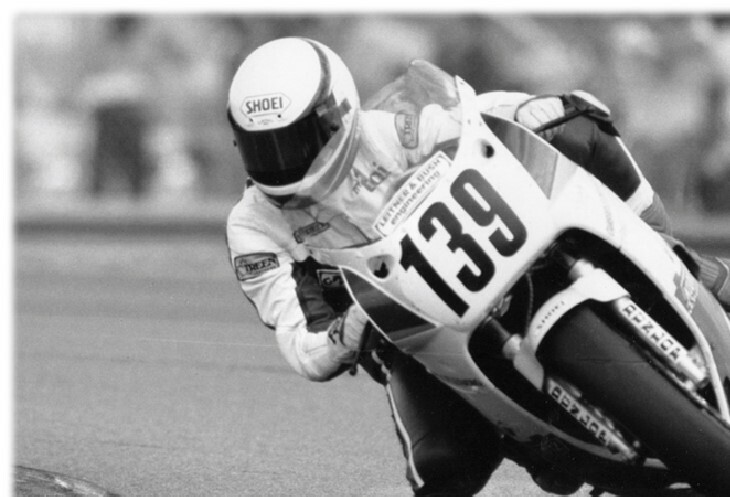 The name Sharpless has been synonymous with motorcycling seemingly forever and Toni Sharpless is no exception. Oldest of the three children of Hall of Fame legend Bill Sharpless, Toni was only six years old when a minibike appeared under the family Christmas tree. One minibike to be shared with two eager brothers taught her the value of co-operation as well as basic riding skills. Her competitive streak appeared early and Toni began ice racing when she was 10, eventually becoming national junior class champion and the first woman to win a Canadian Motorcycle Association championship. At age 16 she took to flat track, rising to senior level with a series of wins and podium finishes. Then at 22 Toni attended a road race where she found the excitement of speed irresistible. She had to try it. Staying up all night to prepare her new motorcycle before her racing debut at Grattan, Mich., taught her perseverance but she was rewarded with a fifth-place finish. It was the beginning of an all-consuming passion for the next 10 years. Toni’s day job was as a sales rep for a national motorcycle parts distributor, but her weekends were spent racing and any spare moments maintaining and improving her bike for the next event. The next year she received the British Empire Motor Club’s historic Kaye Don Trophy, awarded for “the most meritorious high-speed performance on a motorcycle.” In 1984 Toni received the RACE amateur of the year award along with seventh overall in the amateur 600 production class of the Castrol road race series. On the dirt she placed second in the CMA half-mile at Woodstock, on ice she won the senior indoor title and she placed second in the Cycle Canada indoor short track series. 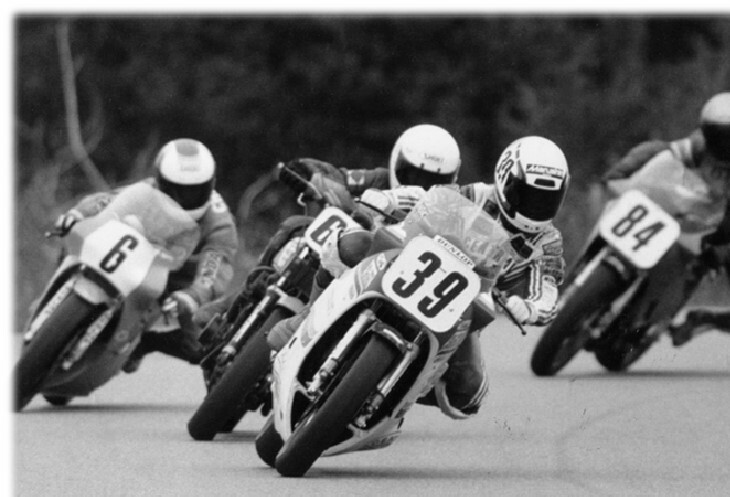 It was onward and upward in 1985 as Toni moved to the 750 cc class, gaining podium finishes in amateur superbike at Mosport and Shannonville as well as 10th overall in the AMA CCS race of champions at Daytona. The following year she moved to the RACE pro class and earned three top-10 finishes. 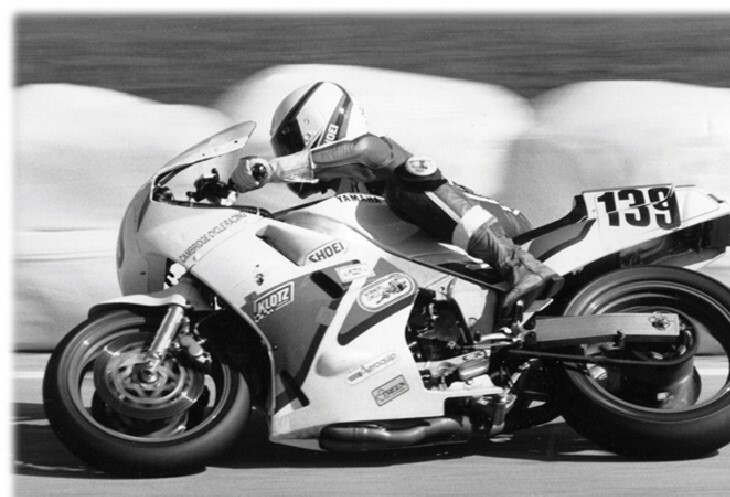 In 1987 Toni and Kathleen Coburn became the first women to qualify for and finish the prestigious Daytona 200, Toni finishing 47th and Kathleen 33rd. They were spotted by scouts from the Yamaha Motor Co. and next they knew they were flying to Japan, where they were offered sponsorship to race in the Suzuka 8-hour world endurance series event. It was an arrangement that lasted five years and also extended to rides in the historic Bol d’Or and LeMans 24-hour races in France. Competition from other established teams was very tough but their best finish was a 10th place at LeMans. By 1991 Toni was battling cancer and retired from road racing. She recovered from her illness and turned her energy toward operating a trail riding school in the Ganaraska forest for three years with her brother Blair. It catered to all levels including those with no riding experience whatsoever. Since then Toni has continued to ride in motocross and enduro events with her husband Jamie Pikor as well as fill volunteer positions promoting and operating off-road events such as the historic Corduroy Enduro in which the Sharpless family name has featured prominently over its 58 years. She has served as secretary of the Oshawa Competition Motorcycle Club and volunteers her time to organize club events. As she has done for the past 35 years, Toni works in the motorcycle industry as district sales manager for a Canadian powersports distributor. In 2009 Toni was honoured with the Canadian Woman of Influence Award presented by the Motorcyclists Confederation of Canada.